Rules about small claims courts are set by each state, so they vary somewhat from state to state. These courts are called "small claims" because they deal with civil cases where the amount in dispute is below a set limit, from $2,500 to $25,000. Most small claims courts require you to make a demand in writing for the amount owed before you can bring a small claims action. Writing an effective demand letter is fairly simple. A demand letter is part of your small claims case and will be read by the judge. It should not be emotional or abusive. Prepare to type your letter. Handwriting is difficult to read, both for your opponent and for the judge, and a typed letter is more impressinve and professional. Start with the history of what happened and cover the important points in chronological order. Be precise about details and give exact money amounts. Aways end a demand letter with an exact statement of what the person owes you, how long the person has to pay you, and a statement that you will go to small claims court if they do not pay within the time you have stated. Make sure your letter has no spelling, grammar or typing mistakes. If you are not sure, get a friend or family member to check it for you. A professional letter will be more effective. Make and keep a copy of the letter so that you can prove what you wrote. Send the letter by certified mail and get a return receipt. 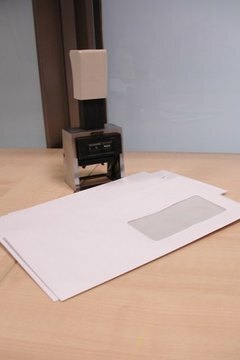 You want to be able to prove that you sent the demand letter and that your opponent received it. Take a copy of your demand letter and your return receipt with you to court. Duchane, Sangeet. "How to Write a Demand Letter for Small Claims Court." , https://legalbeagle.com/6108915-write-letter-small-claims-court.html. Accessed 20 April 2019.